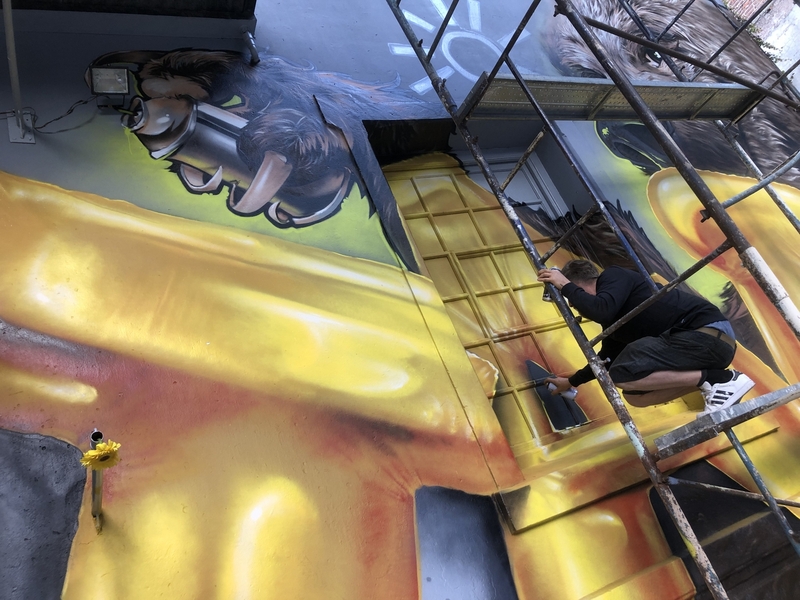 Berlin street artists Die Dixons teamed up with Buenos Aires artist Fio Silva to paint a new mural in Chacarita dedicated to freedom and the 25th anniversary of the partnership between the two cities. 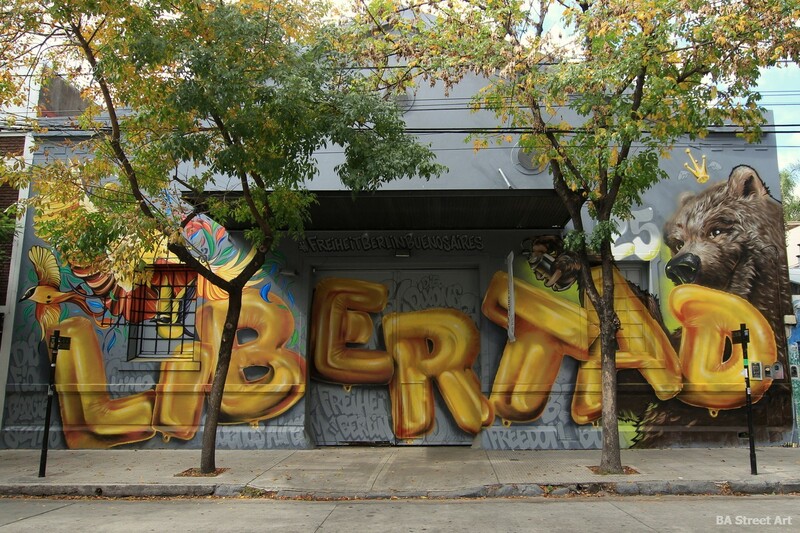 The mural painted on the facade of Espacio Cultural Carlos Gardel features the word ‘libertad’ meaning freedom and a bear with a spray can in its hand. 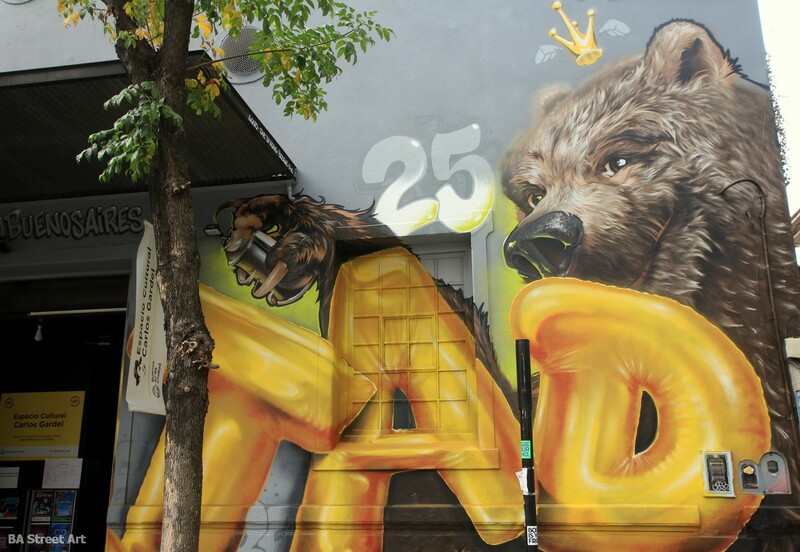 The bear painted by the Die Dixons crew represents Berlin and the subculture the city is famous for. 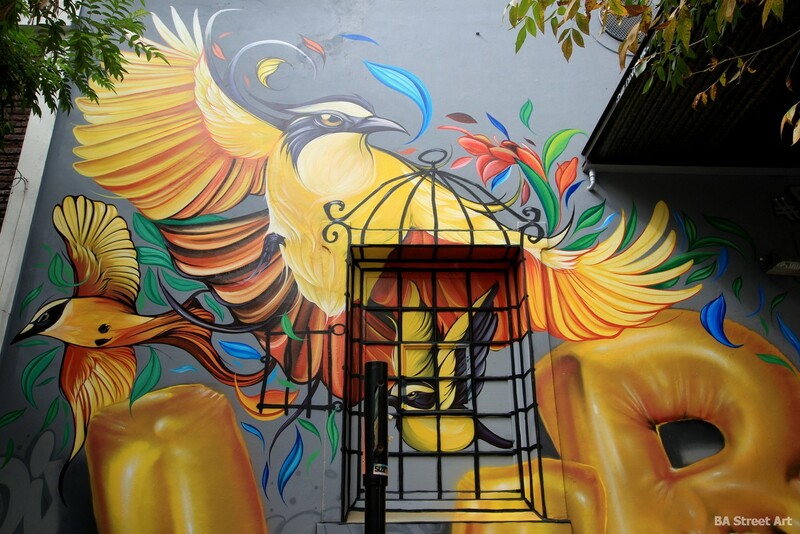 The left side of the mural painted by Fio Silva is dedicated to Argentina and features the national bird ‘el hornero’ and the national flower the ‘el ceibo’. 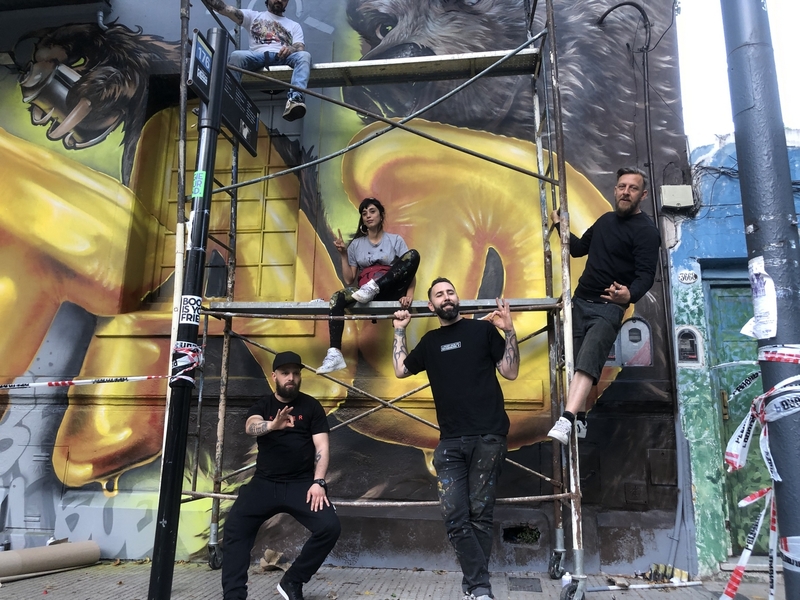 Die Dixons, who are also the founders of the Berlin Mural Fest, organised for Fio Silva to paint a mural in the German capital last year and the crew were visiting Buenos Aires as part of a cultural exchange between the sister cities. 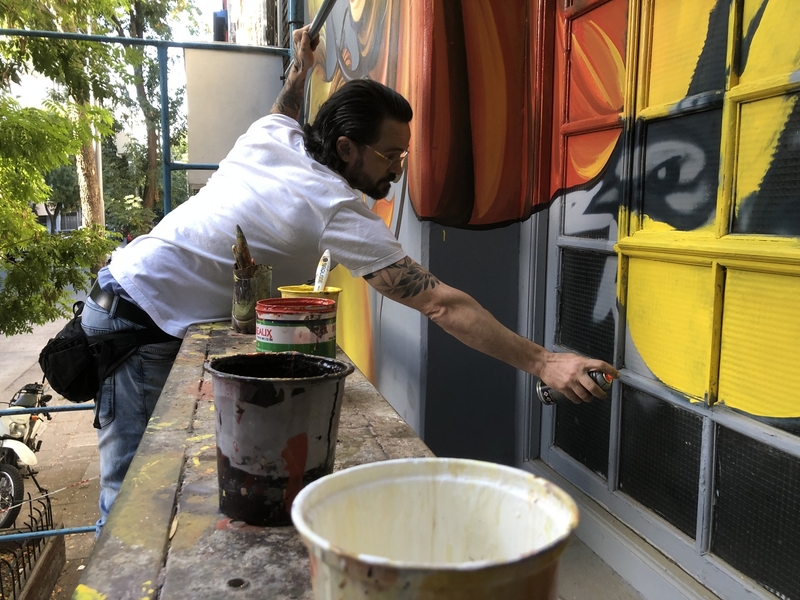 The mural was curated by Eduardo Fuhrmann and inaugurated on Monday by Buenos Aires culture minister Enrique Avogadro together with Berlin mayor Michael Müller who was visiting the Argentine capital for the third UCLG Culture summit. 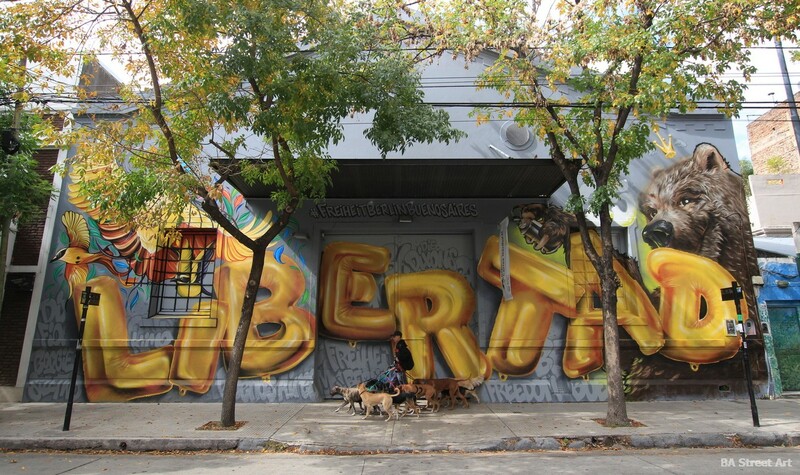 You can check out the new mural at Olleros 3640 in Chacarita. This entry was posted by admin in News and tagged arte urbano Chacarita, Bolle Die Dixons, Chacarita street art, Die Dixons, ECCG, Espacio Cultural Carlos Gardel, Fio Silva, freedom, freedom mural, Freiheit, Jörn Die Dixons, libertad, street artist Fio Silva, UCLG Culture summit.